Do I save time and just go buy whatever I need? Or do I save some money by spending a few extra minutes flipping through the circulars? The days of choosing between time and money are finally over! Welcome to MyGroceryDeals, the premier site for browsing grocery deals and featured items from all of your favorite local stores. It's the best place to find big savings with just a small investment of your time. MyGroceryDeals offers the most complete coverage of over 300 grocery retail chains, drug stores and mass merchandisers, representing 80,000 retail stores in all 42,000 ZIP codes across the country. That translates to over 150,000 deals, continuously updated each and every day, 24/7. One thing you’ll notice about our content is that we don’t post regularly-priced everyday items. That’s because you can’t save money when you pay full price! The deals, featured items and coupons come straight from the store’s weekly circular and other savings sites, which means every item you see is another chance to save and create more value for your shopping dollar. The "Google" in Local Grocery Shopping and Budget-Minded Meal Planning. Think of MyGroceryDeals.com as circulars 2.0—all the savings, none of the paper cuts. This free website lets you search for grocery sales in your area. Grocery Deals Top of Mind with Consumers - News America Marketing and MyGroceryDeals.com Partnered to Offer Consumers Second Helping of Savings on Grocery Deals. Go cherry picking… MyGroceryDeals.com is a grocery cherry picker’s dream come true. So Who Are We, Anyway? The MyGroceryDeals team is a group of everyday shoppers just like you, with a big dream to change the way America shops at the grocery store. Like you, we were tired of making the decision between saving time and saving money with each week’s shopping trip, so we decided to do something about it. Through years of trial & error and research, we believe we have delivered the most robust platform that can be leveraged by industry content providers and used by the everyday shopper to make important decisions regarding where, when and how they buy the items they use. Our team is committed to building the Number One pre-shopping platform in the country. Our content is available directly on MyGroceryDeals.com and in partnership with leading publishers, ad networks, retailers, brands and their agencies through our ShopLiftr suite of advertising and content integration solutions. Our valued partners are among the leaders in this space. MyGroceryDeals.com, was founded by an all-star team of product marketing, retail and technology veterans. We operate sales, account management and data quality out of our North American offices, while leveraging data services in several countries across the globe. Paul Davis is the co-founder and President & CEO of MyGroceryDeals.com, leading the company through its initial product launch, rounds of capital raising and several key business partnerships. 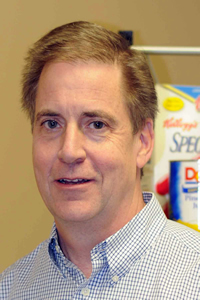 Prior to MyGroceryDeals.com, Mr. Davis was co-founder of In-Touch Survey Systems and worked with In-Touch from 1992-2004. As a senior member of the management team, Mr. Davis was instrumental in raising over $6 million in venture financing taking the company public on the TSX Venture Exchange in 2002. As Executive Vice-President of In-Touch, Mr. Davis oversaw a sales and marketing team that often exceeded 20 professionals, and negotiated 6 and 7 figure contracts with clients in Canada, US and Australia. In addition to his sales and marketing responsibilities Mr. Davis was the driving force behind the development of In-Touch's most successful data collection products - the Electronic Clipboard and the SmartKiosk. These two research tools were the catalysts that sparked the company's garnering prestigious clients in the United States and Canada including several of the grocery chains named above and RBC Financial (Royal Bank), Canadian Tire, Future Shop, Best Buy, National Football League, East Side Mario's, Bob Evans Family Restaurants and many, many more. Prior to his work with In-Touch, Mr. Davis was a senior partner in Ottawa's two largest communications firms, Currie-Irving Advertising and Interact Communications, where he received numerous local and national awards for creativity and strategic positioning. During this period he also founded and was editor/publisher of Hyperion PC Magazine and lectured on advertising at Algonquin College. Mr. Davis has an MA in Sociology from McMaster University and a graduate degree in journalism from Carleton University. John Scott is the co-founder and EVP of MyGroceryDeals.com. John's primary role at MyGroceryDeals.com involves overall responsibility for monetization and revenue generation, as well as establishing key strategic and business partnerships. Prior to MyGroceryDeals.com, Mr. Scott was Vice-President, Sales for In-Touch Survey Systems, where he negotiated numerous 6 and 7 figure contracts with major clients in Canada and the US. At In-Touch, Mr. Scott was engaged in all facets of business development in the areas of market research, customer satisfaction measurement and employee attitude studies. Mr. Scott directed the project management team for In-Touch and was a key technical resource in the successful innovation and delivery of client programs. Mr. Scott worked with some of North America's leading companies in the grocery, retail and food service sectors. Prior to In-Touch, Mr. Scott was a partner at Convivium Research in Ottawa, a boutique consulting firm, and for the previous nine years he was a senior consultant for the Ottawa office of Watson Wyatt Worldwide leading the Organizational Research Practice. For Watson Wyatt he was also the Canadian product manager for Pulse-Taker, a proprietary interactive voice response technology. Mr. Scott served as a member of Wyatt's Global Technology Advisory Committee. 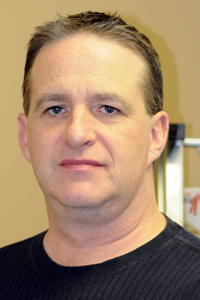 Mr. Scott holds a Bachelor of Science degree from the University of Western Ontario, and completed additional studies in Economics at Carleton University. Gord Crowson is the SVP of MyGroceryDeals.com. Gord's primary responsibilities involve operational general management of the company as well overall responsibility for the market and retailer databases. 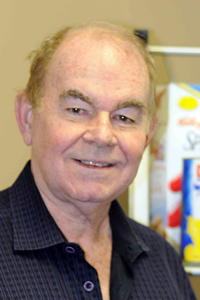 Prior to MyGroceryDeals.com, Mr. Crowson was the Vice-President of Planning & Business Development for Morrison Lamothe Inc., a leading Canadian frozen food manufacturer. At Morrison Lamothe, Gord held two concurrent executive responsibilities. As Vice-President of Business Development he was one of five Executive Committee members, with overall responsibility for corporate planning, R&D, marketing and customer management functions. Mr. Crowson was also the architect and General Manager of a USA-based joint venture marketing and distribution company owned and directed by 5 leading Canadian frozen food companies (of which ML was the lead shareholder), known as "The Frozen Network". It developed and sold branded and private label food programs to a broad range of US retailers. Prior to Morrison Lamothe, Gord spent ten years with Tandem International Inc. of Toronto, a marketplace-oriented strategic planning consulting firm. He was the Practice Director of the Strategic Planning Group and consulted on a wide variety of international client assignments but also held important responsibilities in the area of client development and management. Prior to Tandem, Gord spent six years with Procter & Gamble Inc. in a variety of marketing and general management roles. Procter & Gamble is a multibillion dollar worldwide consumer packaged goods manufacturer and marketer, headquartered in Cincinnati, Ohio. Gord holds a Bachelor of Commerce (Honours) degree from Queen's University. As CTO, Peter Thomas is focused on the overall stewardship of MyGroceryDeals.com's current and future technology. In addition to envisioning the technical capabilities of the MyGroceryDeals platform, Peter is responsible for the networking infrastructure, software frameworks and hardware systems that enable our product offerings. Mr. Thomas is a seasoned IT professional, with Executive Management and technology leadership experience at a variety of software and IT consulting companies. He is a veteran of building "at-scale" enterprise IT systems and consumer-facing web sites. Prior to MyGroceryDeals.com, Mr. Thomas was Director of Custom Software and Integration at Mxi Technologies. As part of this role, Mr. Thomas orchestrated a strategic initiative to modernize the integration API architecture, product customization framework and Business Intelligence capabilities of Maintenix, Mxi's flagship software product. As part of these efforts, Mr. Thomas successfully negotiated OEM partnerships with MuleSoft and Jaspersoft and defined the business template for commercially integrating Maintenix with open source software. Prior to Mxi, Mr. Thomas was one of the founding members of Avanade in Canada and served in a variety of senior executive roles, including Delivery Director and Eastern Canada CTO. At Avanade, Mr. Thomas was responsible for E-Commerce technical delivery, go-to-market strategy and executive management of a team of over 200 software engineers. He successfully led software delivery teams at a variety of Avanade clients, including Best Buy, Softchoice, Indigo Books & Music, Bank of Montreal and Enmax. Prior to Avanade, Mr. Thomas was an Associate Partner at Accenture, leading the Microsoft Solutions Organization in Canada. At Accenture, Mr. Thomas was one of the firm's most senior Technology Architects, where he worked with a number of the largest companies throughout North America. Mr. Thomas holds a B.Eng. in Chemical Engineering from McGill University.